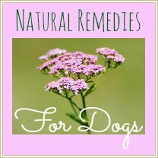 If you're looking for a home remedy for dog fleas, this page is for you! 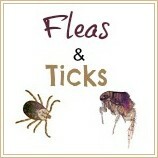 Learn how to use everyday products to repel, or even kill, fleas on your dog and in your home. There are LOTS of flea prevention products on the market today. With the most effective options for a dog with an active infestation are mainstream flea medications such as Frontline or Advantix. But, these are chemical-based products and can have side-effects in certain dogs. All-natural flea control alternatives can also be effective, and are less harsh on your dog, and on the environment. 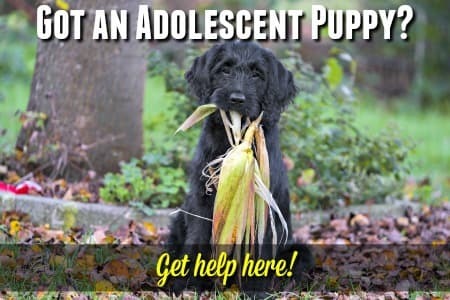 Both these options can be costly, especially if you're a multi-dog household, or if your dogs are of the large or extra-large variety. For centuries people have used home remedies to treat all sorts of ailments in both humans and animals, and finding home remedies for dog fleas isn't difficult.... there are a whole lot of them to choose from. In terms of effectiveness, and their ability to actually KILL fleas (and in some cases other flying insects and ticks), home remedies are likely to be below chemically-based products, and even the natural alternatives. BUT for a dog who only has a few fleas, or as a preventative measure, they are an effective, inexpensive and safe option. The original, blue-colored Dawn liquid actually penetrates the exoskeletons of the fleas and kills them! 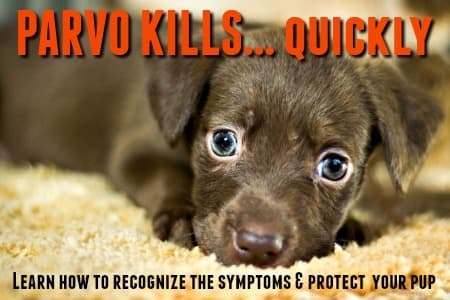 Apple Cider Vinegar works as a flea-repellent and you can use both of these totally safe products individually, or together, to kill and/or repel fleas. Use blue Dawn as a shampoo by mixing a few drops with warm water, or by combining equal parts Dawn and Apple Cider Vinegar. Always be sure to rinse your pup's coat thoroughly after shampooing. You can make your own 'flea trap' by mixing a couple of drops of Dawn into a shallow pan of water and putting a desk light above it. Leave it on overnight and the fleas will be attracted to the heat and drown in the water! Adding half a teaspoon of Apple Cider Vinegar per 2 cups of water in your dog's water bowl can help repel fleas. Mix up a 2:1 ACV/water solution and put it in a spray bottle. Spray it on your pet's fur and comb through. If you use a Flea Comb so much the better because you'll remove the fleas that aren't inclined to jump off! Rosemary is a natural flea repellent, and it anti-inflammatory properties means it also helps to soothe irritated skin, stimulate hair growth and improve coat condition. Other herbs can also be anti-inflammatory, antiseptic or soothing to your pet, but very distasteful to fleas and other biting insects. Steep 1 tsp. of dried Rosemary leaves in 2 cups of boiling water for approx. 15 minutes. Strain and allow to cool. Use as a final rinse after shampooing (with Dawn as above), rub into skin and coat and allow your pet to dry naturally. You can do the same thing by steeping 2 cups of fresh Rosemary in 4 cups of boiling water for 30 minutes, strain, cool and use as after-bath rinse as above. Grind up dried Rosemary leaves and then sprinkle them around the edges of carpeted rooms, on your dog's bedding, in his kennel, and in cracks or under floorboards to keep fleas away. Chamomile is also an insect repellent, and you can make up an after bath rinse by steeping chamomile tea/tea bags in the same way as you did with the Rosemary. Fennel works in much the same way as Rosemary. You can crush the fennel seeds and use them to repel fleas around the home, or rub the powdered fennel well into his coat. Feverfew flowers contain some natural Pyrethrins and can be steeped in boiling water, which is then allowed to cool, strained and used as an after-bath rinse/insect repellent. Mullein flowers contain Limonene oil (which insects hate). 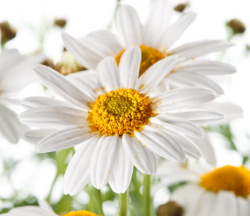 Prepare an rinse the same way as with the Feverfew to repel and even kill fleas on your pet. Essential oils are used in many natural flea control treatments. You can also use them yourself to create home-made potions that use their natural properties to fight fleas, ticks, mosquitoes and more. The most popular choices for flea control are Lemongrass, Cinnamon, Peppermint, Cedarwood, Citronella, Lavender and Tea Tree Oils. Mix a few drops of the essential oil of your choice into your dog's bathwater. Be careful to make sure he doesn't get it in his eyes, or drink it though. Make your own all-natural flea collar with essential oils instead of chemicals. The best choices for this are Cedarwood, Eucalyptus, Peppermint, Citronella & Geranium. Use one, two or several of the oils at the same time (if you're mixing several oils dilute the solution with a base oil such as Sweet Almond oil). Rub a few drops of your solution onto a fabric collar or bandana. A drop of Lavender Oil applied to flea bites works as an antiseptic and anti-inflammatory to relieve itching and discourage infection often caused by scratching. Mix a few drops of Oil of Oregano or Oil of Bay Leaf with a cup of water and pour into a spray bottle. Use this to soak areas where fleas may be hiding, such as pet bedding, carpets/rugs, cracks between floorboards, under baseboards or by outside doors etc. It seems that there are lots of random items and everyday products that can be used to ward off fleas, ticks, flies, mosquitoes and other flying/biting pests. They're very simple and although I can't promise you they will work, as you're likely to have the stuff you need right in your home, what do you have to lose? Talcum Powder - Smothering the fleas so they have difficulty breathing kills some, and makes the others flee (sorry, pun intended). You can use talcum powder (an unscented variety, baby powder is good) and rub it well into your dog's fur. You can brush it out after an hour or two. Salt - Salt dehydrates the fleas, eventually killing them. Make up a 1:10 solution of salt/warm water and soak your dog with it. Rub the salt water deep into his coat and leave on for 10 - 15 minutes. Then rinse well and allow to dry. Lemon - Fleas and other flying insects seem to hate anything lemon-y. Make up a lemon solution using either natural lemon extract or juice mixed with water, or by cutting a lemon into 4 pieces and steeping it in boiling water. Add this (cooled) solution to a spray bottle and soak his fur with it. Towel off excess gently and allow coat to dry. Vegetable Oil - Using oil is another way of smothering or suffocating fleas. Vegetable oil works well and I'd recommend using a spray bottle of oil for this flea treatment. Spray the oil all over your dog's coat, making sure to get down to the skin wherever possible. After a couple of hours, use Dawn washing up liquid and warm water to remove the oil from his coat. White Vinegar - Add a couple of tbsp of white vinegar to warm water and use it as an after-bath rinse to repel fleas. 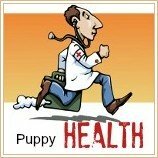 Salt - Salt will dehydrate and kill fleas when in contact with their bodies. Sprinkle table salt into cracks and crevices, under baseboards, and around the edges of fitted carpeting to kill fleas. Sprinkle liberally over carpets and rugs, leave for several hours and then vacuum. Or mix up a 1:10 solution of salt/water and spray liberally in above places. You can also use this solution to wash hard floors or doghouses. Dawn Liquid - Mix 1tbsp of Dawn with 2 cups of water and use solution to spray cracks, crevices or make up a bucketful and wash the floors and woodwork with it. Earl Grey or Chamomile Tea - Sprinkle either of these varieties of loose tea (or tear apart teabags and use the filling) around your dog's bedding, on carpeting, down cracks in furniture and so on. You can vacuum it up out of the carpet after a day or two. 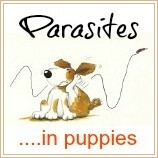 These don't kill fleas but the scent will repel them. The Herbs Tansy & Pennyroyal - Both of these herbs are natural flea-deterrents and if you plant them around your yard they will help to keep the flea population out of it.